Miss Namibia 2011 Luzaan van Wyk (center), Nangula Itembu,Georgina Kandjeke in a runner-up. Luzaan van Wyk (32), born and raised in a small and loving family in Windhoek, Namibia. She graduated from the University of Stellenbosch with a degree in Law in 2010, specialized in the family affairs she currently works as a legal practitioner at (PricewaterhouseCoopers) in Windhoek. She got one sibling and one brother. Luzaan was crowned Miss Namibia 2011 at the event hosted in Windhoek Country Club Resort, where Georgina Kandjeke and Nangula Elifas was among the runner-ups. She represented Namibia in Miss World 2011 in London, England on 06 November along with other beauty queens from African continent such Sylvia Nduka from Nigeria, Karabo Sampson from Botswana, Stephanie Adwoa Adjeiwaa Karikari from Ghana, Joelle Marie Justine Nagapen from Mauritius, Malaika Maidei Mushandu from Zimbabwe and among others. Her participation at the London's glamorous event was proudly sponsored by Standard Bank Namibia. At Miss World 2011 in London, she partaken in various contests like Miss World Sports Woman, Miss World Beach Beauty and Miss World Fashion In London, she impressed an enthusiastic audience with her silk satin & chiffon dress designed by Cobus Moller and traditional attire given to her by one mother at Ondagwa. She also put up a traditional Oshiwambo dance at the event which she learned from Wella Hishiko. 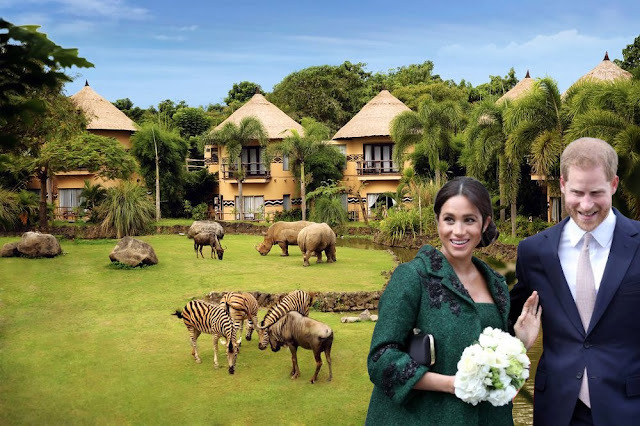 Plus a vintage handbag made from zebra skin and game leather to represent a Namibian richness of fauna and flora. The national gift was sponsored by Nakara. 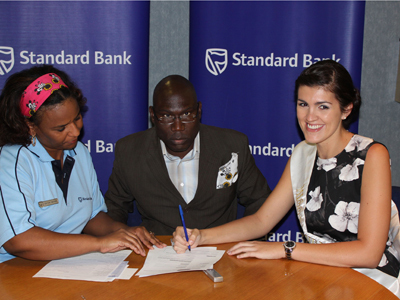 Miss Namibia, Luzaan van Wyk (right) signing a financial sponsor for Miss World 2011 in London, Thaddeus Maswahu and Monica Garises from Standard Bank Namibia. Photo: Elzeth Harmse. After almost eight years since being crowned Miss Namibia in 2011, a lot has changed in Luzaan’s personal life as well as in her career. During her tenure as Miss Namibia, she has been involved in some charity initiatives. She wishes she could encourage everyone to give back to their communities in whichever way they can, whether it’s their money, time or sharing resources. A small bit can help! She expressed the gratitude that she was admitted as a legal practitioner just shortly after her Miss Namibia reign came to an end. She is a married woman now and she is still getting used to the idea of being referred to as "Mrs Luzaan Visser" always catching self still writing "Miss Luzaan van Wyk" on all her official paperwork. ''I am proud to have been able to represent our beautiful country and to meet so many remarkable Namibians''. ''I have learned that beauty is really only skin deep and that self-confidence, kindness, compassion, integrity and humility makes you someone to be remembered. “ She asserted. Luzaan in her traditional attire for Miss World 2011 Pageant to show Namibian cultural diversity. The pageant is a great platform to meet new people and to extend the network and to get involved with some great projects. The Miss Namibia pageant is still a very prestigious event and she thinks the national director is doing an excellent job. What she like most about the pageants is that it has a lot of Namibian "flavour" to it. “I think the Miss Namibia pageant is an excellent platform to promote local talent and fashion. Keep up the good job,” she says.